Welcome to the Toxic Avenger Band! 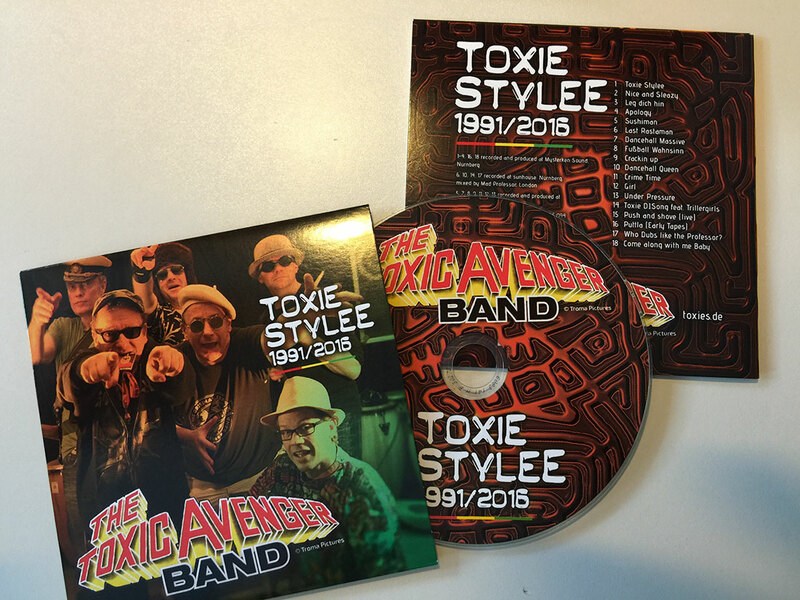 The Toxic Avenger Band (short the Toxies) are back again! They are the pioneers of german Dancehall Reggae. They already proofed in the 9ties, that Roots Reggae is not the only style of that music. Back then not everybody could handle the rough style of the Toxies. Today there are a lot artists doin that kind of reggae (in Germany for instance Acts like „Seed“ and „Gentleman“). 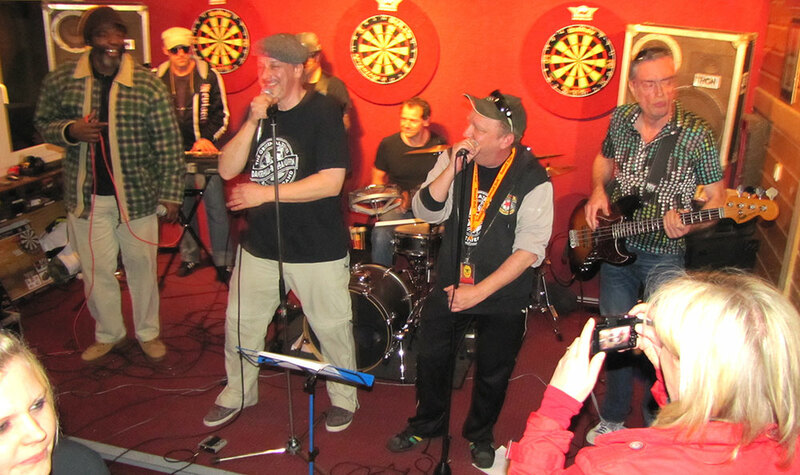 It all started as a joke, when Mike Neun, then host of a reggae show at the local nuremberg radio station „Radio Z“ wanted to start a rap battle with his listeners. Wolfgang Reyscher took up the challenge and that was the start of a wonderful relation. Double U (Wolfgangs nom de guerre) was building Ragga-Soundtracks at that time in his Bedroom Studio, which both used to play their first shows. But after a while Mike wanted a real life band and soon they formed the Toxies together with the american rapper Michael Aitch (H-Bomb). With Dancehall-Reggae, Raggamuffin-Hip-Hop, Loversrock, Ska und Rocksteady they cover a wide spectrum of that music. Throughout the 9ties they toured as support of Yellowman, Mad Professor, Ziggy Marley and bavarian music rebel Hans Söllner. The also played at a lot of Festivals in South Germany. They released 2 CDs and were remixed by Mad Professor in London. 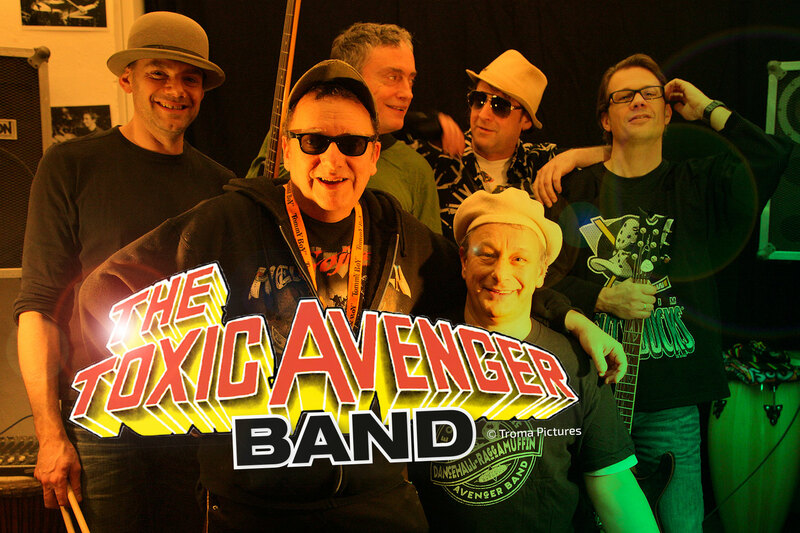 18 years later the band comes together to get on stage as the Toxic Avenger Band again. Mike 9, still touring and making records with his Punk Band „Die Suicides“ and Suicides Bassman Andy had the idea. After some Facebook Posts of old Band Pictures and Youtube clips everybody of the old Band wanted to try if it still works. And…what can I say, it´s really grooving again, even though D.J. H-Bomb is not around anymore cause he had moved to another city. In the meantime they have recorded 5 new tunes (check the „songs und video“ page) and played several gigs since 2014 and are still moving on strong.